J.M. Smucker Co. has withdrawn its bid to purchase the Wesson Oil brand from Conagra Brands after the Federal Trade Commission challenged the deal March 5. The FTC argues the acquisition would likely lessen competition and violate anti-trust law. Conagra announced plans to sell the Wesson brand for about $285 million in May 2017. "While we are disappointed by and disagree with the Commission's decision, we have determined that it is in the best interest of our shareholders, customers and employees to terminate the agreement to sell the Wesson oil business to the J.M. Smucker Co. rather than pursue litigation," Conagra said. 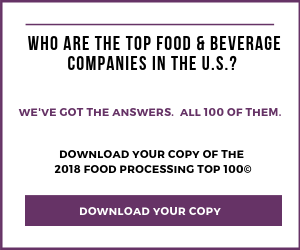 The companies “underestimated the significant role that private label brands play in the oils category, which account for approximately 50 percent of all cooking oil sales and hold significantly higher market share at some retailers,” he added. Smucker intends to continue evaluating the role of the Wesson oil business within its portfolio. Conagra also stated it was disappointed by the FTC’s decision and would continue “its evaluation of the role of the Wesson oil business within its portfolio. It also said retailers and ultimately consumers “would likely face higher prices for branded canola and vegetable cooking oil” if the deal was approved.